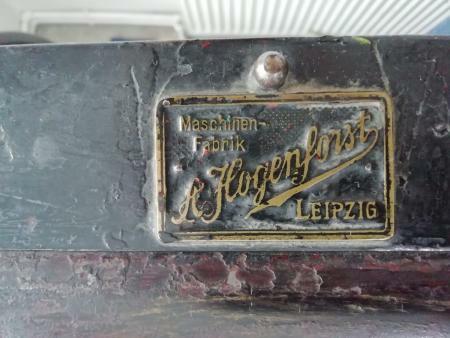 A. Hogenforst letterpress machine - An opinion about the acquisition? 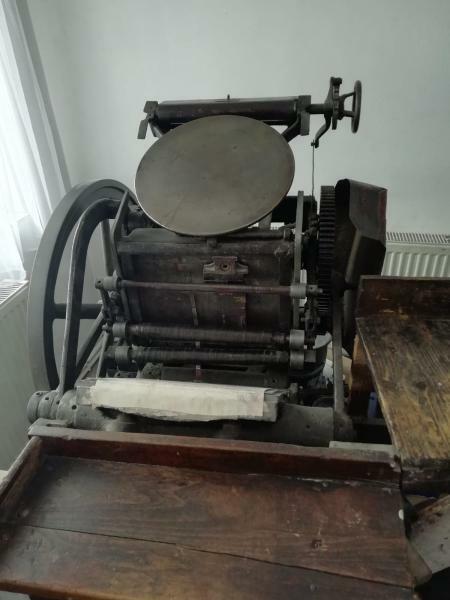 I need some information: I found for sale an A. Hogenforst letterpress machine, A4 maximum print size. The seller does not want to ask for a price, he expects to offer me. From what he says, the printing machine is functional, but it needs to rebuild the ink rollers. Maybe a general overhaul. 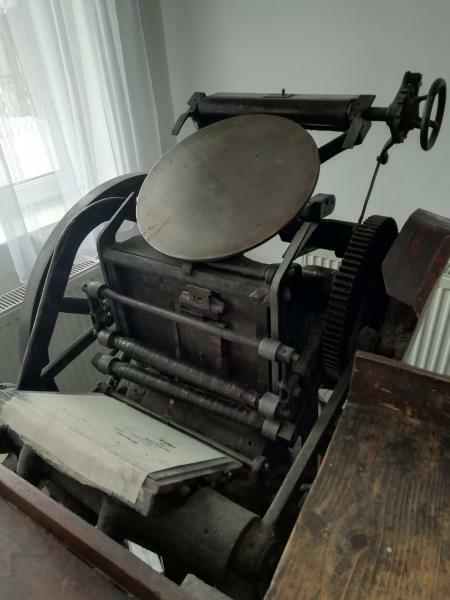 Do you know this type of printing machine? Can you advise me what I can offer? find out what scrap iron is worth per pound in your area… get ready for a lot of resto work (both time and MONEY into it) on it. Dan H. little bit difficult to quote a realistic price to offer,? If the Seller has done His homework, He would probably be insulted at anything less than 4,000 Romanian LEU. He (the seller) may even think DOUBLE that, would be realistic. 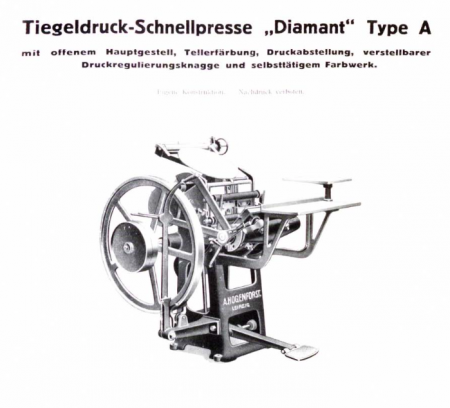 From Your published shots, the *Hogenforst* looks like a machine of massive power and construction, this comment based, only, on a machine We used in the late 50,s (not Hogenforst but out of Leipzig, Germany) and still in use in a School/College for teaching L/press. The going price for a machine like this and in this condition in the Netherlands would be around € 500. Just check out de ‘berichten’, section on the website of Drukwerk in de Marge to get an idea of what still comes up for sale in the Netherlands and Belgium. i have 4 kluges in shop that pretty much do nothing… old machines like this are so well built and fun to run, look at, and reminisce over….. if ONLY they could talk about their past…. The thing is,,, what will it take to move and rebuild…. As custodians from the Past for all Future generations, surely We (collectively) should be thinking in terms of how Much can we do, rather than, What will it take? etc. etc. Do we really want to follow in one of, Asda Wall Mart,s original Slogans, which read *When it`s Gone it`s Gone* surely Not. ? ? ? I have launched an offer to the seller and I am waiting for his decision now.